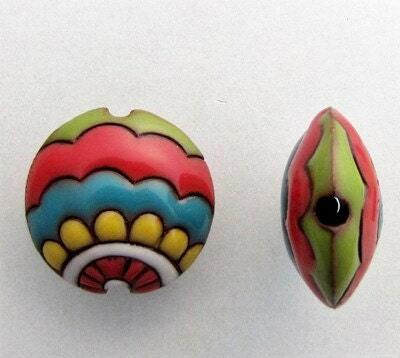 'Circus Came to Town' ~ are beautifully handcrafted ceramic lentil beads. Fun bead to work with. Thank you. Gorgeous beads! Again thanks for stocking them! Your beads are stunning. Thank you so much.